This is just hillarious. 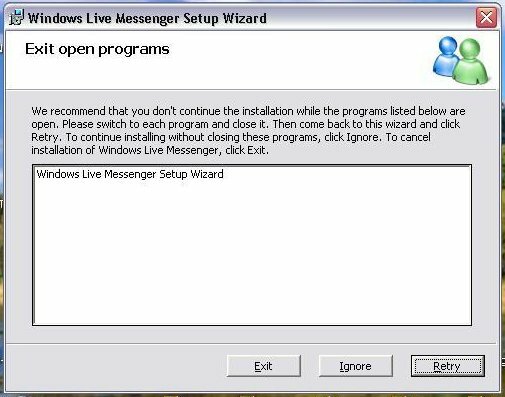 Basically the new MS Live Beta installer wants you to close the MSN installer so that the MSN installer can continue installing(See the pic below). I havn’t tried installing it on my system because I don’t like MSN and don’t want it to mess with my system.